It’s not a hard game; for one, I’m easy to rile up when it comes to negative commentary about my beloved alma mater. It’s also not a hard game because my beloved alma mater has unfortunately made quite a name for itself recently. 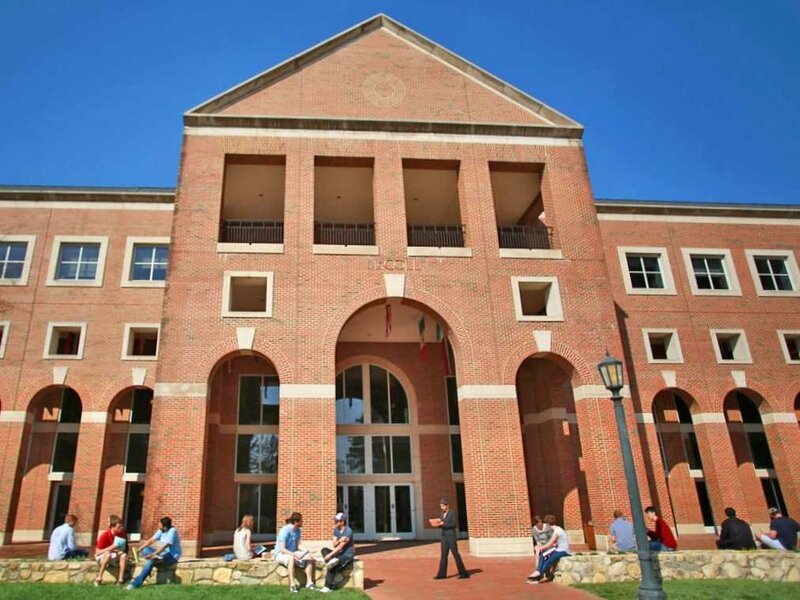 If you haven’t seen the news (ANY news), an independent investigator released a report demonstrating nearly 20 years of fake classes in the Afro-American Studies department — classes available for all students, but meant especially to help athletes maintain academic eligibility. 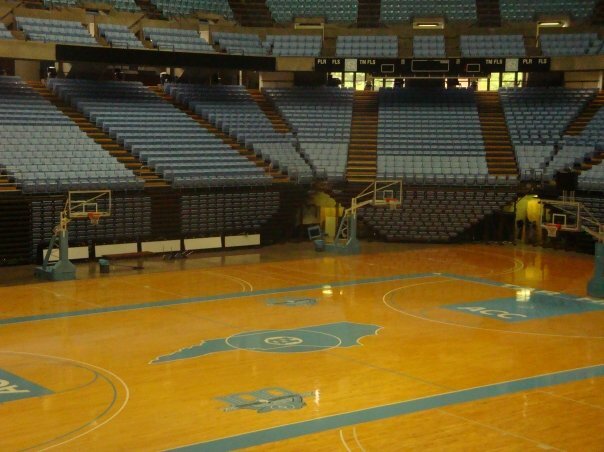 No matter how many “that happens with athletics at every university” you hear, it’s been thoroughly disappointing to see UNC in such an embarrassing spotlight. 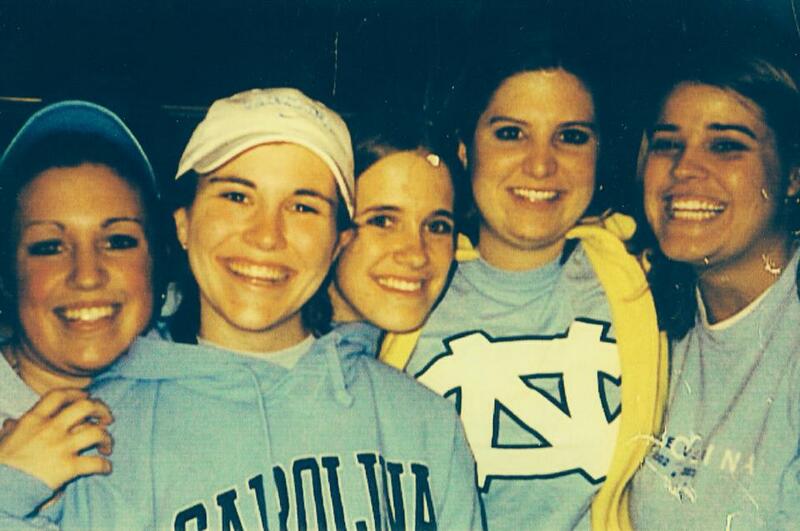 If you’ve read my book, you know UNC athletics (and athletics, in general) are fairly important to me; I’ll admit I’ve told more than a few people that the night Carolina won the 2005 NCAA basketball championship was one of the best of my life. That’s why I’ve been terrified they’ll take away those championships, and why one of my cousin’s recent comments that “the banners need to come down” struck a particular chord. But then I thought a little bit deeper about my college experience… and I realized it wasn’t about the banners at all. The banners — even those won in the 1950s — weren’t even up at our new student convocation in the famed “Dean Dome.” Sure, a few notable jerseys hung from the rafters Michael Jordan’s, in particular, yet for the most part my new classmates and I mingled amongst ourselves, and linked arms at the end to sing our new school song, “Hark the Sound.” Just a few days on campus, and I already felt a camaraderie like no other. Morrison, my dormitory, didn’t have any banners. 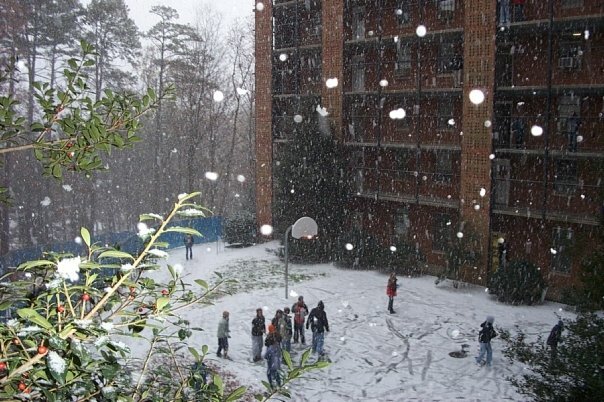 Instead it had balconies where you could sit with your legs hanging off and watch a game of pick-up basketball among residents (or even a snowball fight our crazy freshman year). My suitemates and I spent countless hours out there, and not just because we couldn’t get cell phone reception anywhere else in the building. We sat inside our suites too, up at all hours of the night talking about the latest campus news or our next class or test. I can’t remember going to bed before 2am. 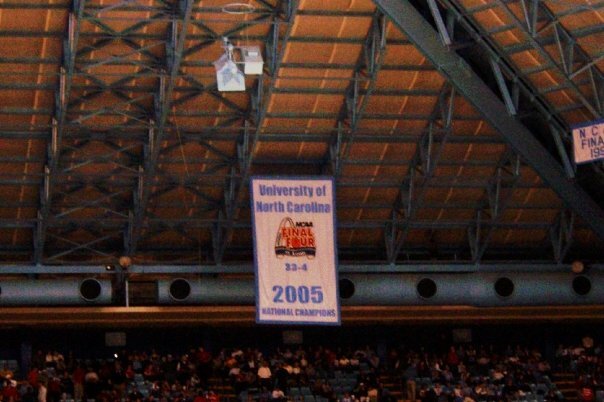 It’s funny to even talk about championship banners, given our basketball team’s performance the first year. But my suitemates and I sure had fun manipulating the complicated ticket-securing system to ensure we could still attend every game, spending many Saturdays waking up at the crack of dawn to stand in line and claim our tickets. The games were just as much about basketball as they were about the six of us getting to know one another better, and bonding over our mutual fandom. If sports had been the only thing to look forward to that first year, we would’ve been awfully disappointed. A Christmas concert put on by several of our campus a capella groups didn’t involve banners, but rather elaborate decorations in the fancy George Watts Hill Alumni Center. While sipping hot cider and cocoa, the groups put on one of the best music shows I’ve been to, bringing to life the holiday season at Carolina, and once again, creating a unique camaraderie among fellow students. How great that our University would do this for us. The Dance Marathon late in the year didn’t hang any banners; well, none related to sports. Instead the colorful paper that hung from the walls displaying each donor reminded us all of those who had funded our 24 hours of standing to raise money for the UNC Children’s Hospital. At the 22nd hour, when my new friends and my legs screamed at us in pain, these particular banners helped us remember all the good our actions were doing. I could go on for days about experiences at UNC that had nothing to do with sports; in fact, I’m pretty sure that aside from a few basketball games and that one, crazy, Miami football game, I do just that in my book. 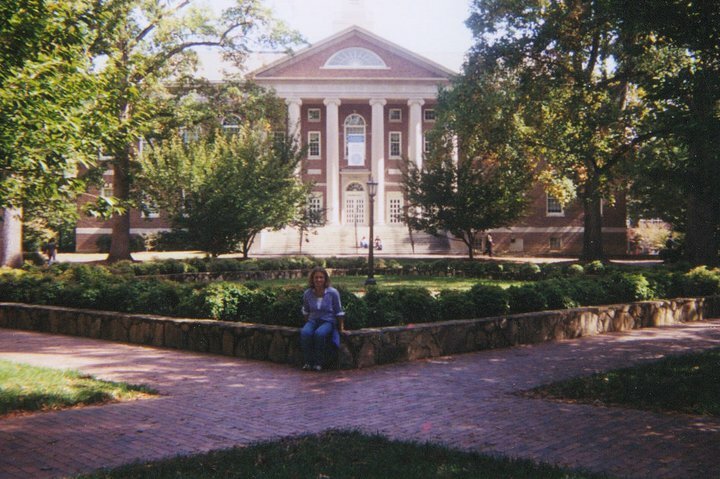 So I thought that at a time when so much scrutiny and humiliation has come upon our school, it would be good to remind the world that the college experience, particularly, the Carolina experience is about so much more than what’s been in the news. For most of us, our numerous rewards didn’t come from athletics or one wayward academic department. The business school didn’t display any championship banners in the elegant hallways I walked through on my way to class; instead, just flags representing dozens of different countries. Those flags reminded me, as did my stellar professors teaching “real” classes inside the building, that we were a part of a much bigger community beyond the walls of Chapel Hill. Inside the classroom, I learned valuable lessons that continue to drive my professional career, “marketing is all about customer relationships,” investing a little now is far better than a lot later. I also learned how to work with a group, creating everything from presentations on relevant material, to an advertising campaign — I still smile every time I see a Jeep Compass, convinced my group’s slogan was way better than what the actual company came up with. Outside of the classroom, those flags were a source of inspiration for my passion to travel and learn more about the world, something I pursued in earnest once I graduated. In fact, the alumni review magazine that promotes the work of Tar Heels around the world continues to be a huge motivator for me — if my fellow alumni can do it, so can I. So there you have it, go ahead and take down that Championship banner (s). It won’t change my victories. Beautiful again Megan. I didn’t get to experience the four-year college out of high school but I so appreciated experiencing Italy with you.